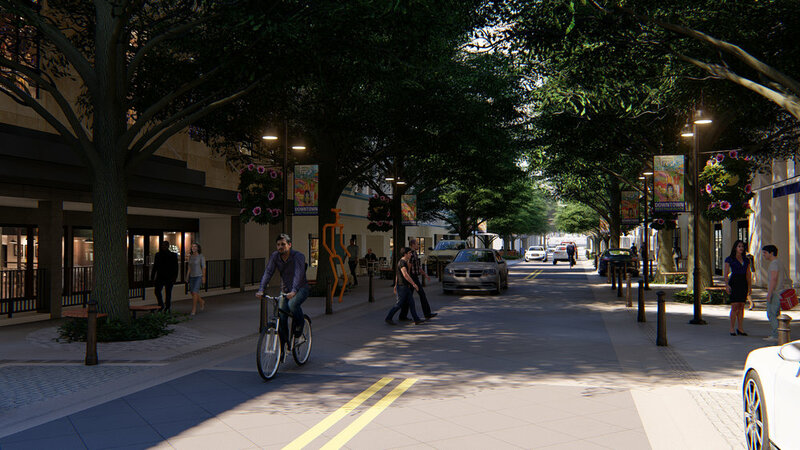 Slower, safer, curbless, shared space, with more shade, more seating, and more space for dining, bike parking, and walking – these are all features of a new design for the 300 block of Clematis Street in West Palm Beach, Florida. Dover, Kohl and Partners teamed with Kimley-Horn on this important street design adventure, working for the West Palm Beach Community Redevelopment Agency (CRA), and with important partners like the City of West Palm Beach and the Downtown Development Authority. We look forward to construction of this project starting this summer.